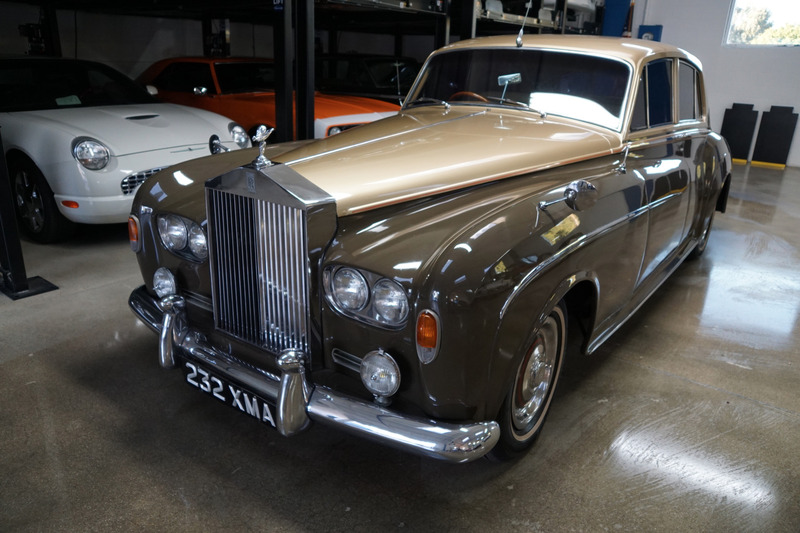 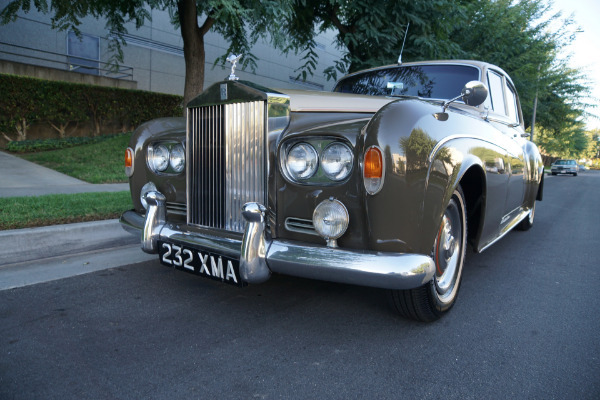 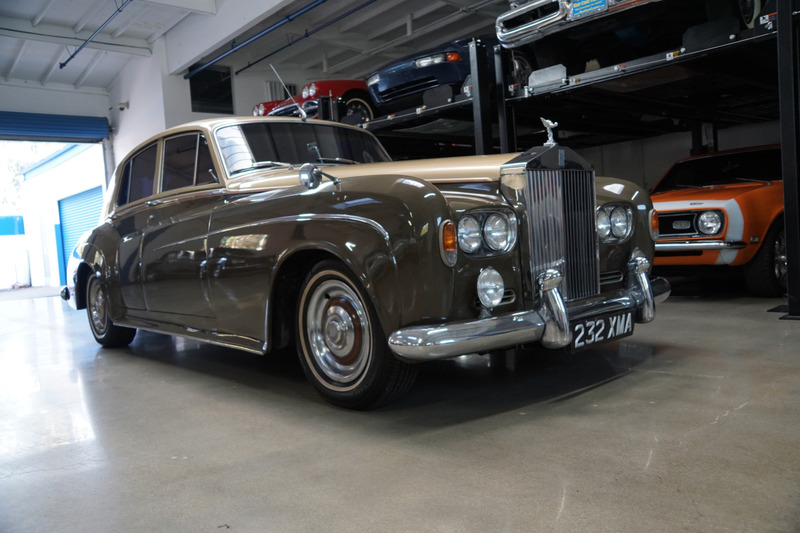 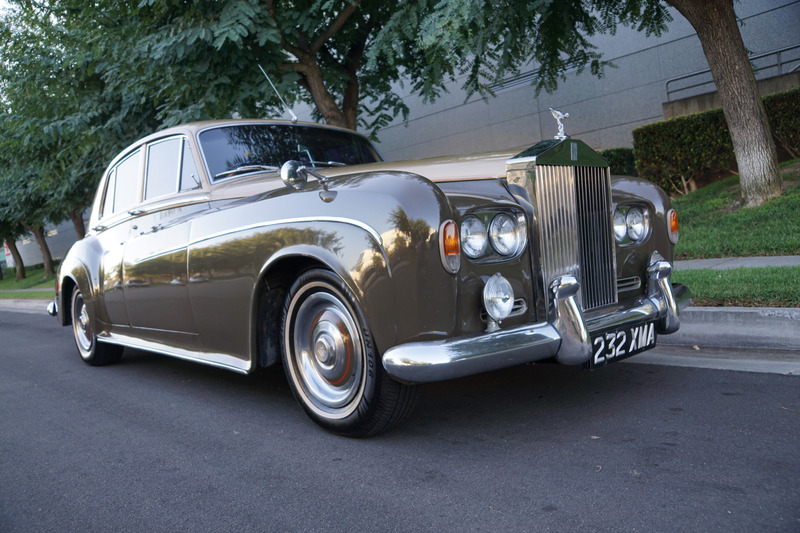 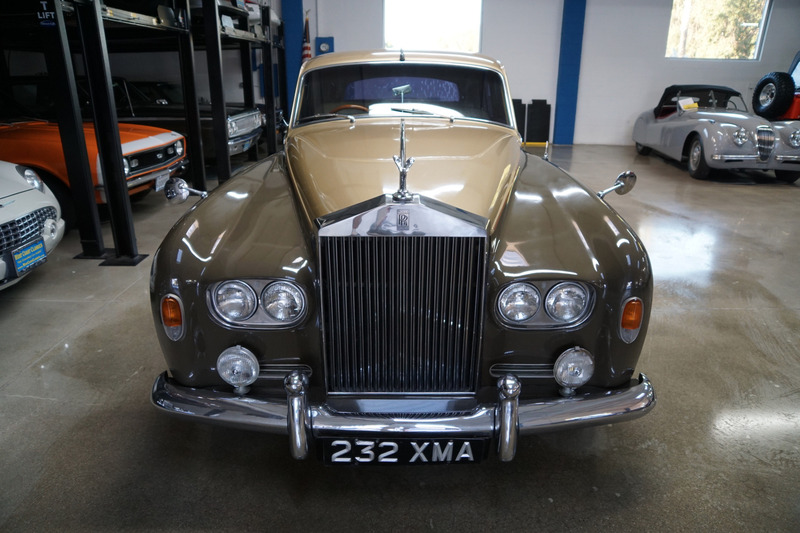 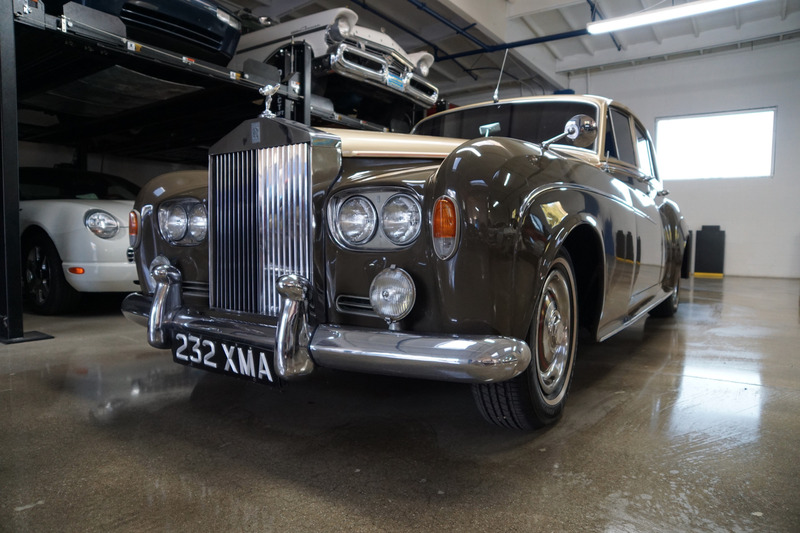 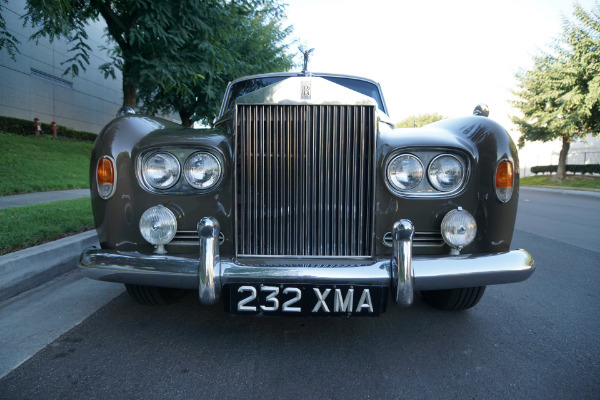 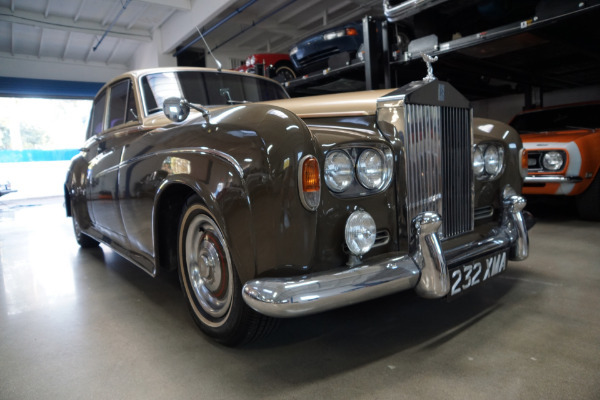 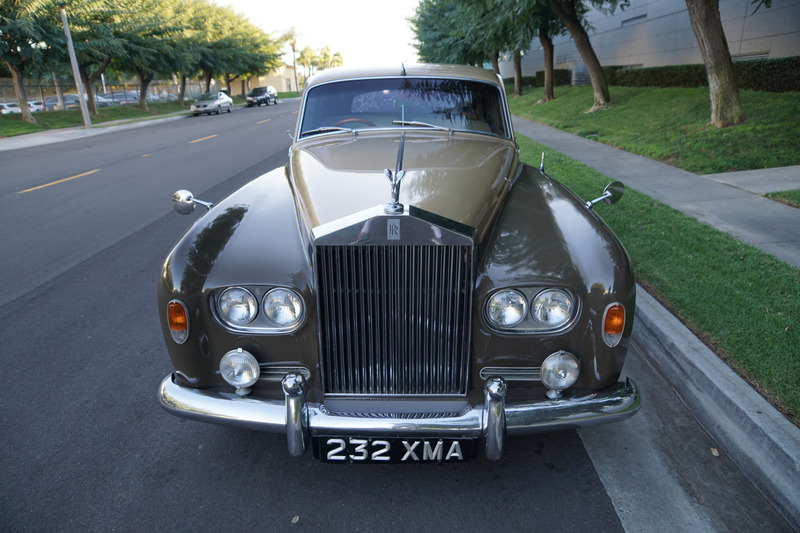 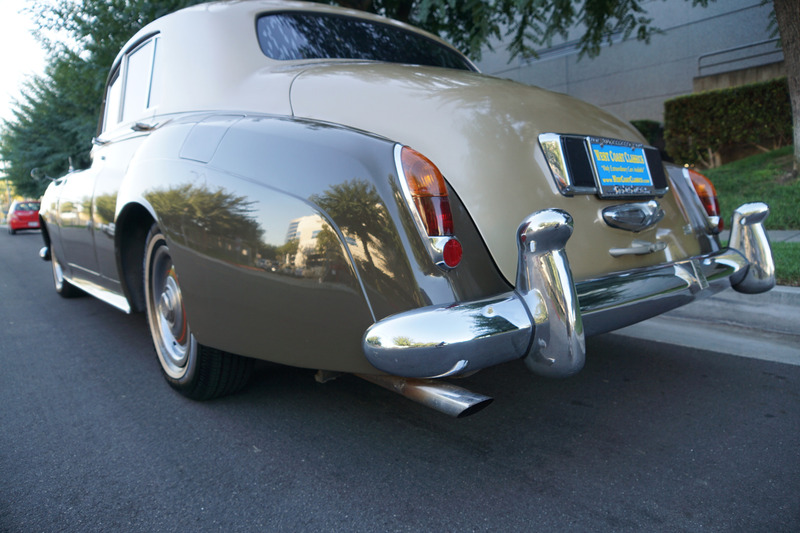 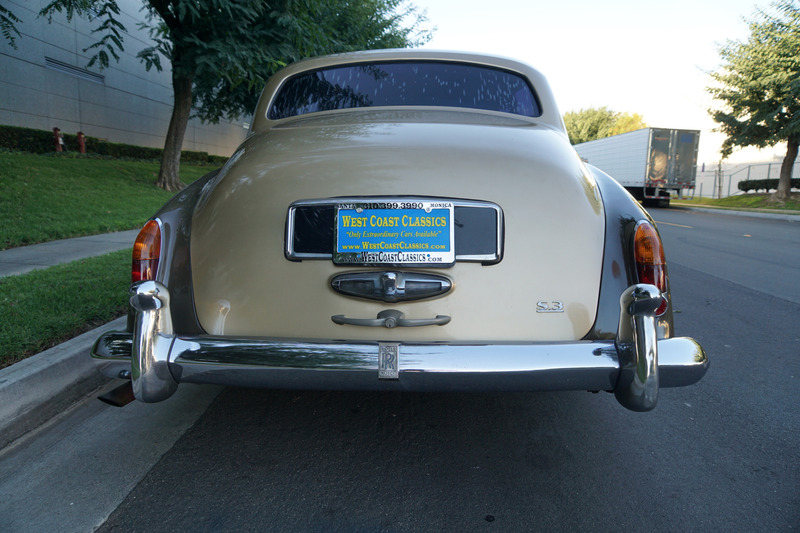 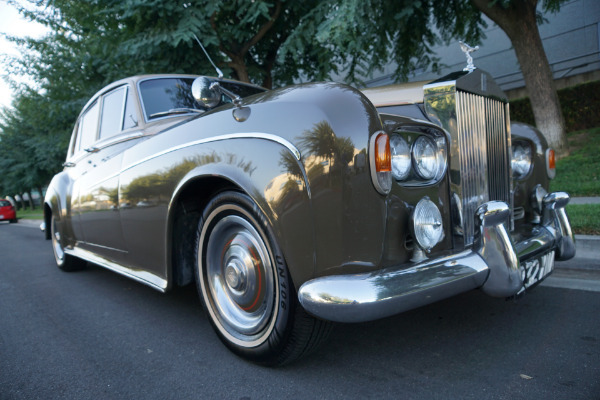 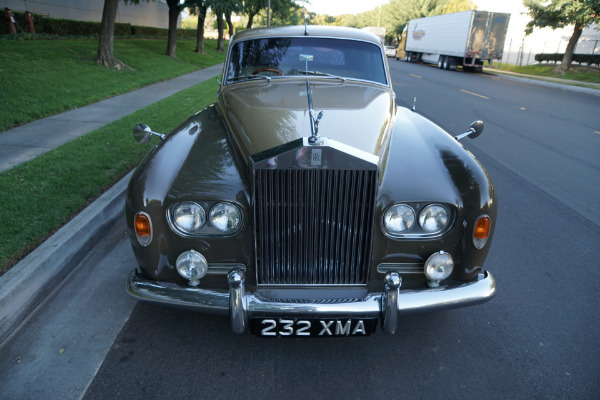 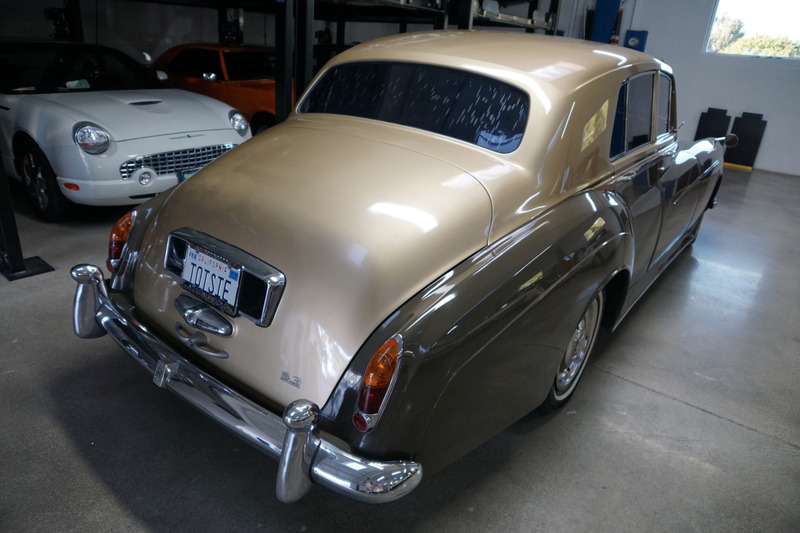 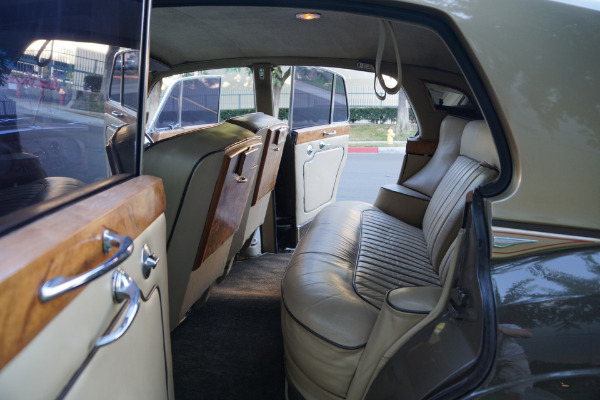 West Coast Classics are proud to present a very striking example of this original 1963 Bentley S3 which was professionally converted to replicate a Silver Cloud III with a Rolls Royce grille and hubcaps. For those who are unfamiliar, the Bentley S3 and the Silver Cloud III were absolutely identical with both vehicles hand built at the Rolls Royce factory in Crewe, England with the only differences being their nameplates, radiator and mascots. 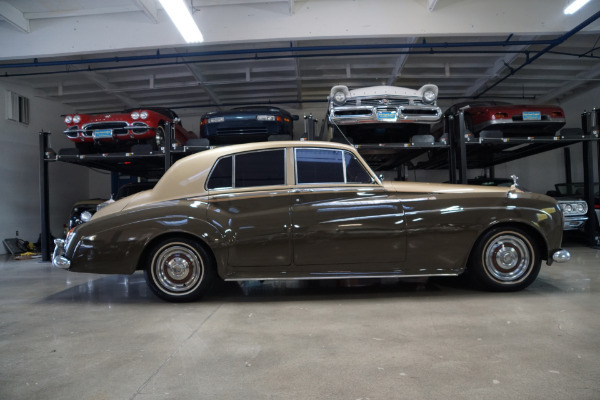 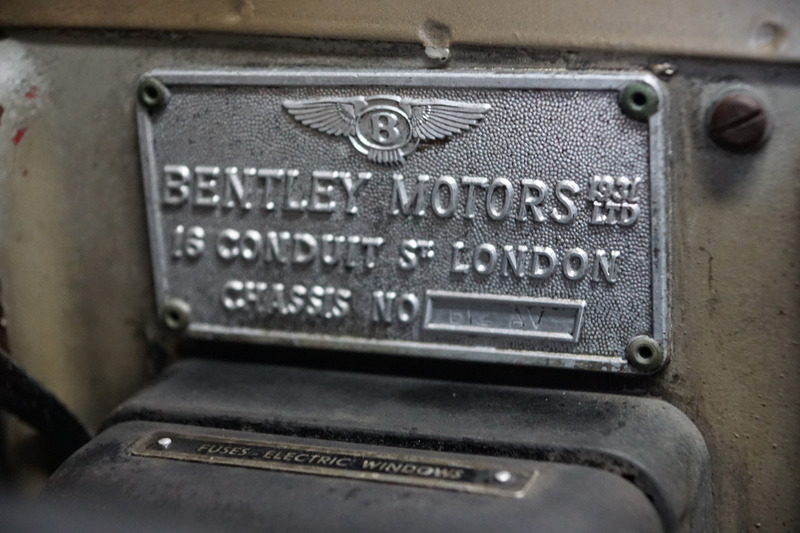 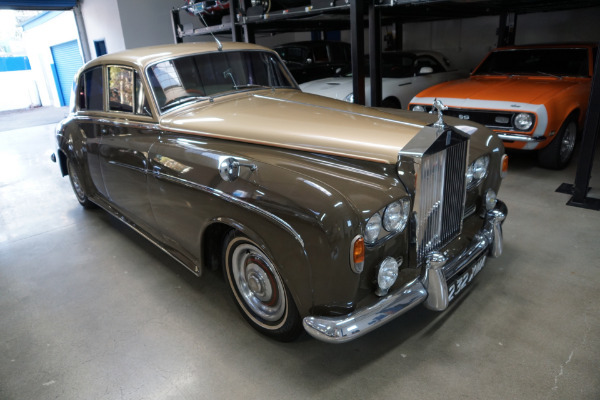 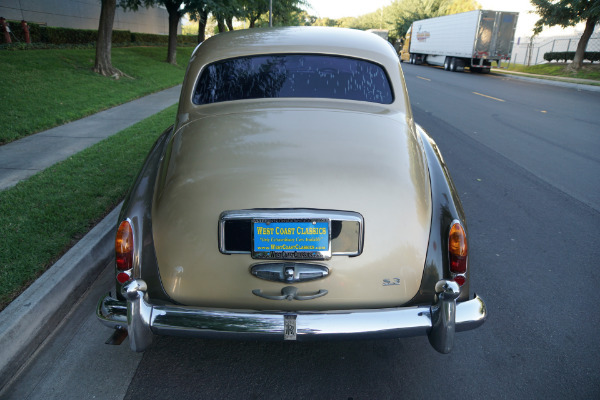 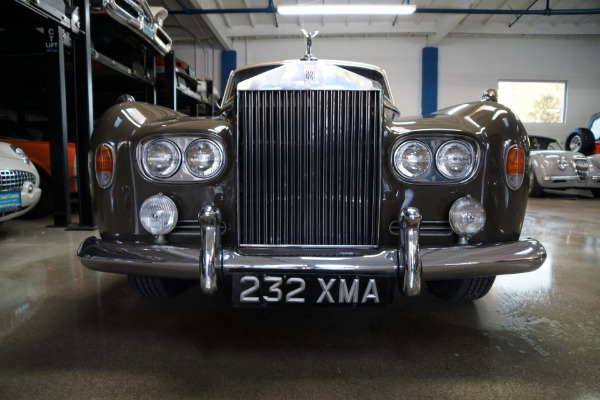 In the 1970's a few Bentley S3's were imported from England to the U.S. and at great expense converted with the Silver Cloud III radiator, mascot and nameplates as the Bentley was not as appreciated or as coveted as it's identical cousin the Rolls Royce! 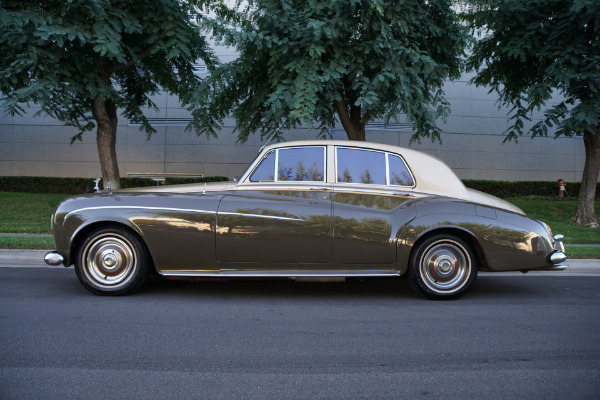 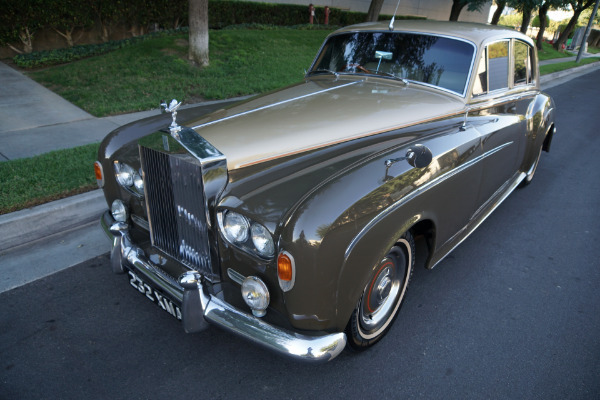 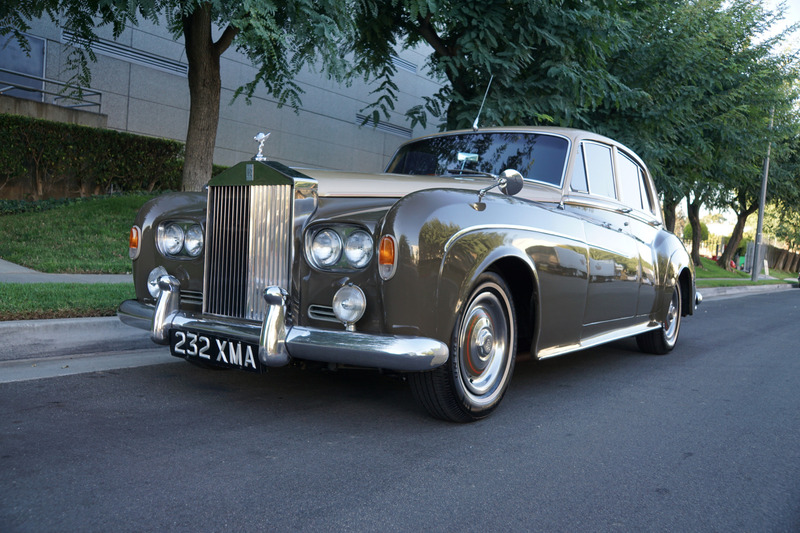 The Bentley S2 and the Rolls Royce Silver Cloud II were introduced in 1959 and lasted until 1962. 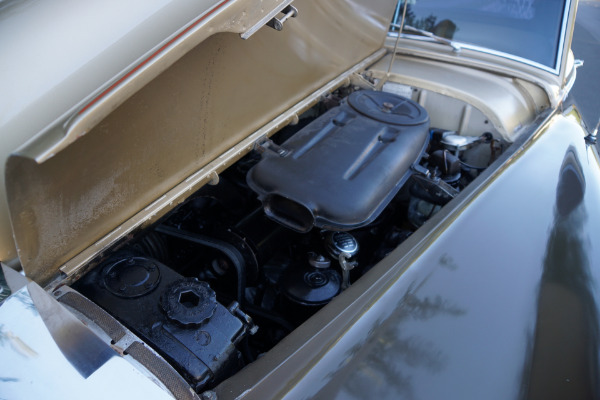 Little changed externally from the Bentley S1 and Rolls Royce Silver Cloud I of of 1956-59 but they now had a much improved 6.2 L V8 engine, which pushed the weight to 2.11 tonnes. 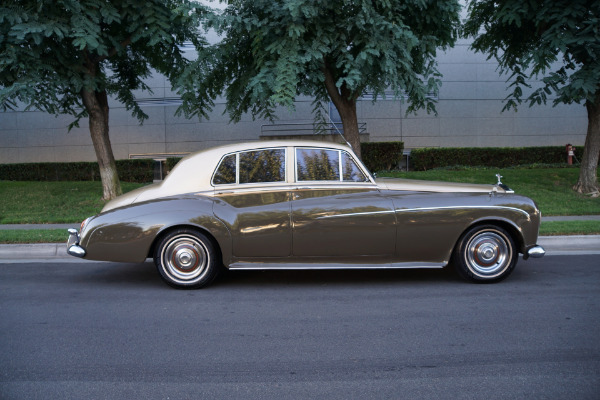 The Bentley S3 and the Silver Cloud III was introduced in 1962 and lasted until 1965. 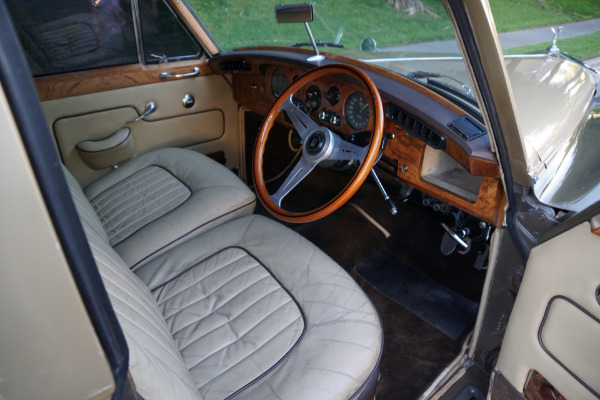 Little changed externally from the Silver Cloud II with the same improved 6.2 L V8 Series II engine from the original Series I but performance was greatly improved though in the new upgraded Series III models with the top speed raised to 183 km/h (114 mph), with the main improvements being in acceleration and torque and the inclusion of larger SU carburetors. 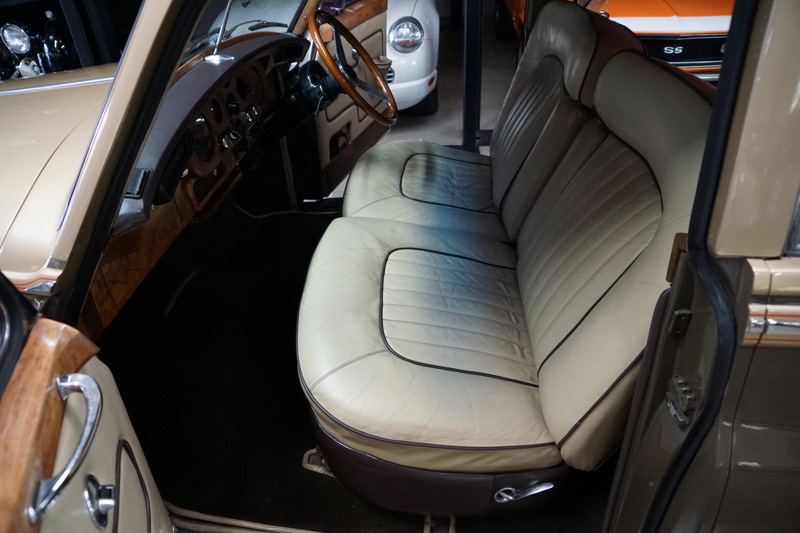 Separate front seats now replaced the bench seat and there was more legroom in the rear. 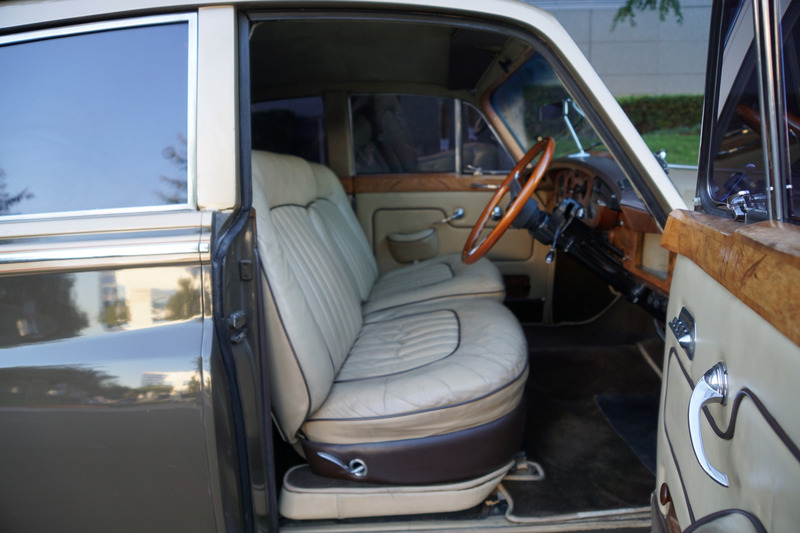 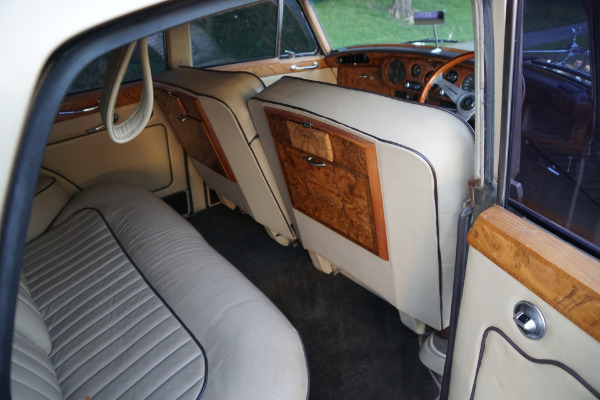 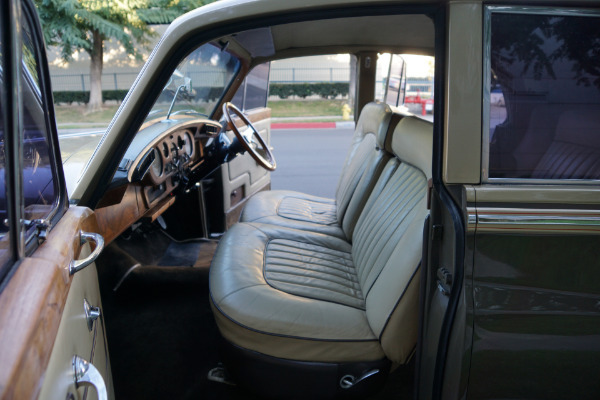 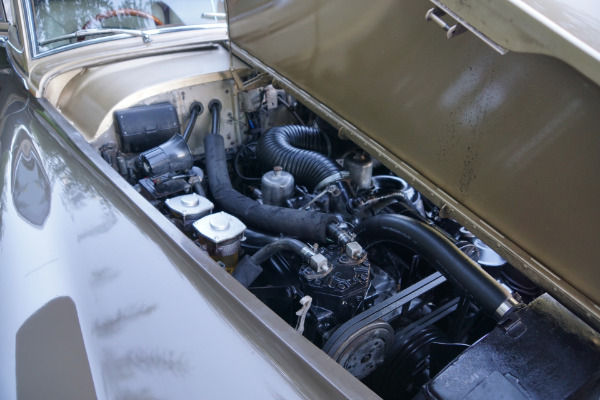 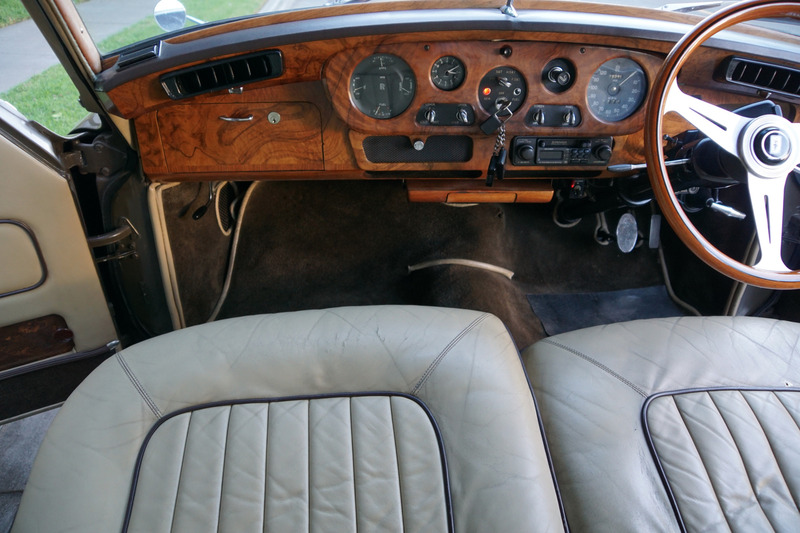 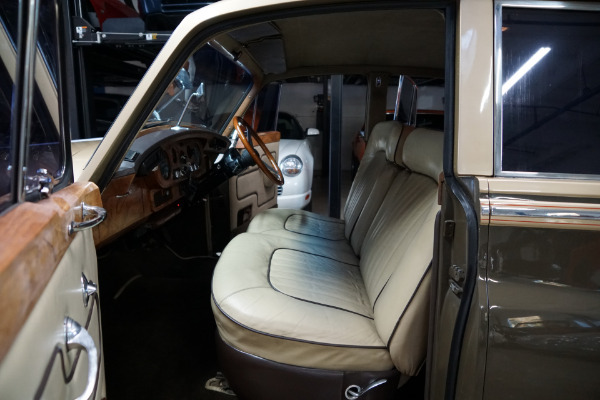 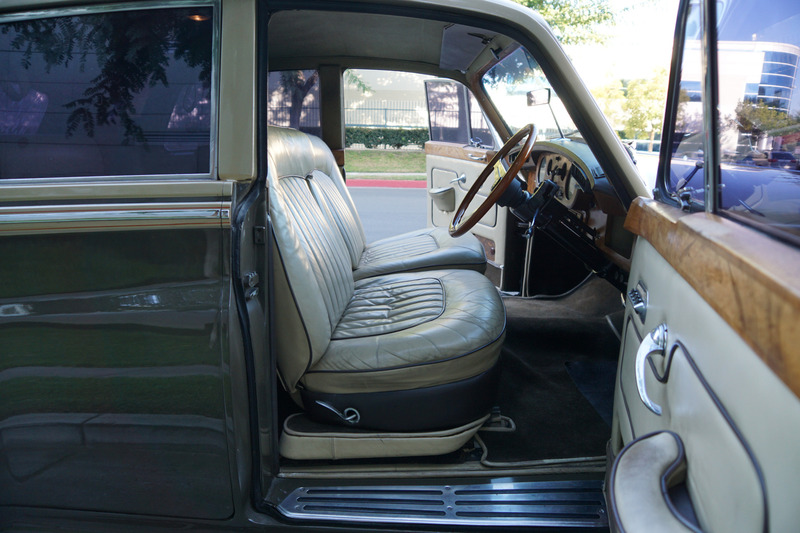 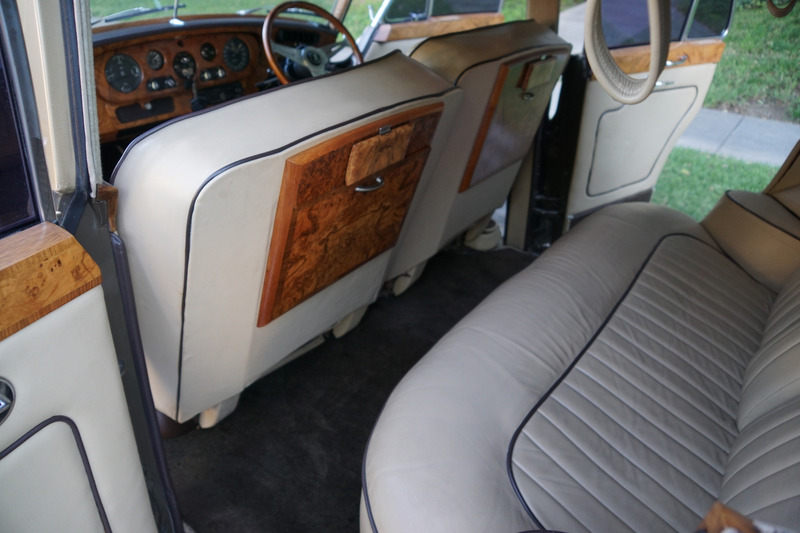 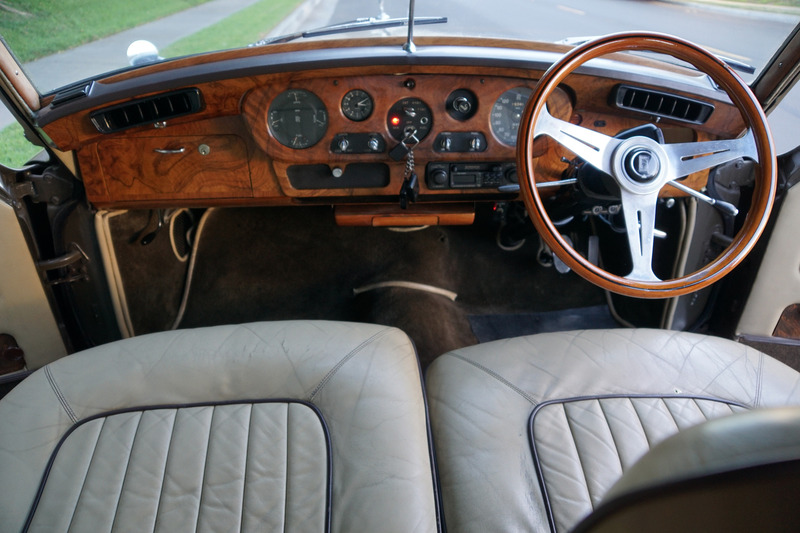 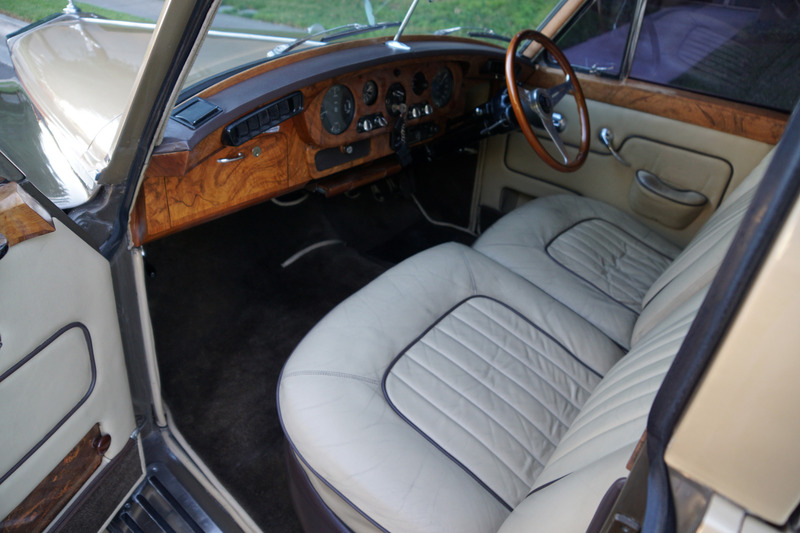 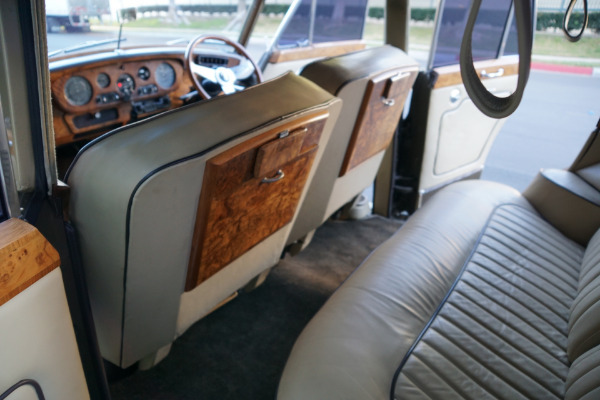 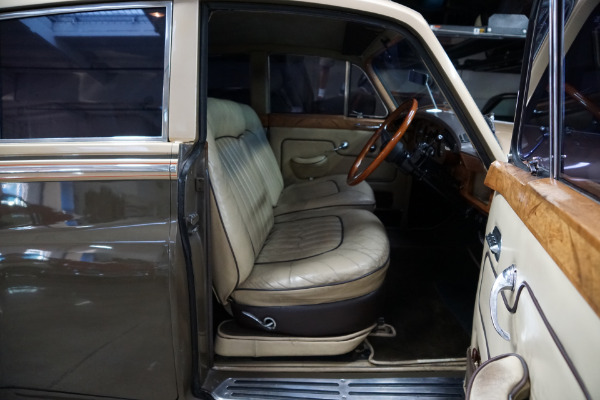 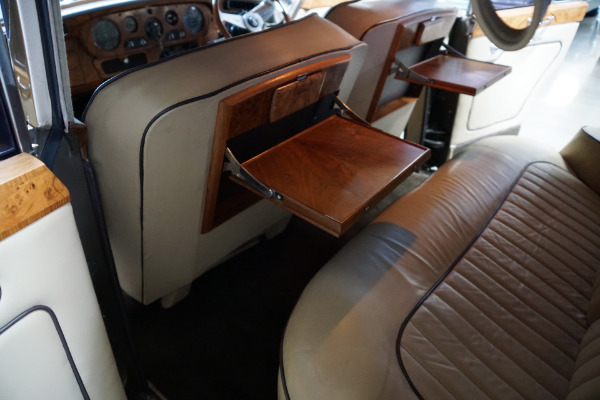 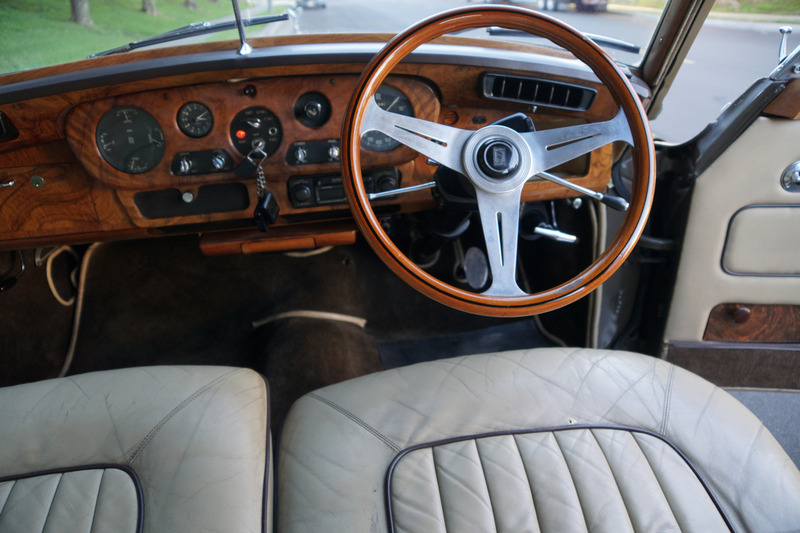 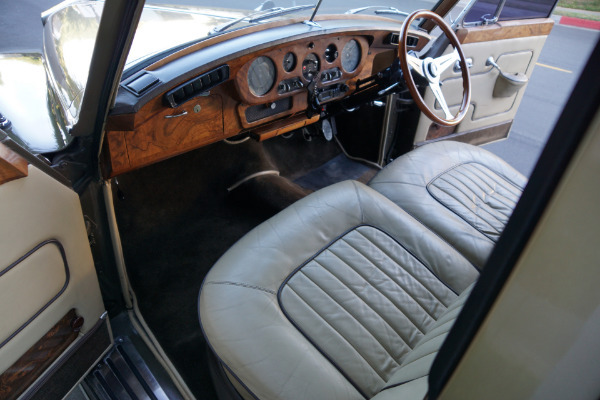 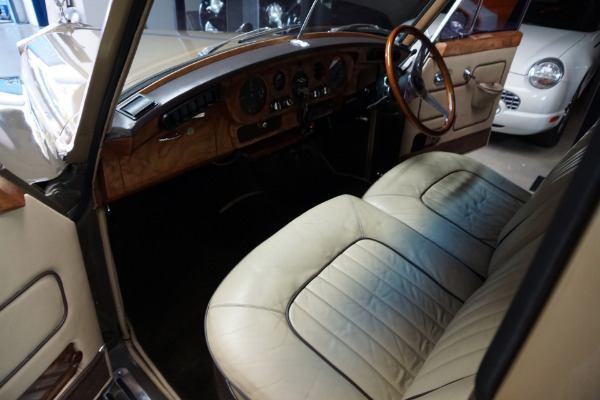 Power steering had already become standard with the Series II but electrically operated windows and air conditioning were now available as an option. In autumn 1962 the Series II production cars were given a facelift and the Silver Cloud III and Bentley S3 were introduced. The most obvious visual feature was the twin headlamp arrangement in what was virtually an unchanged body style. 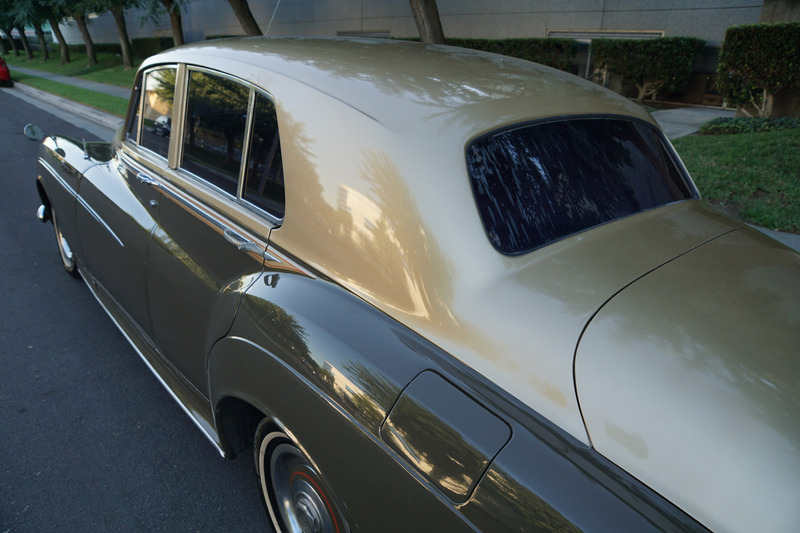 Four headlamps provided more illumination and made it easier for Rolls-Royce to pass the latest North American lighting regulations. 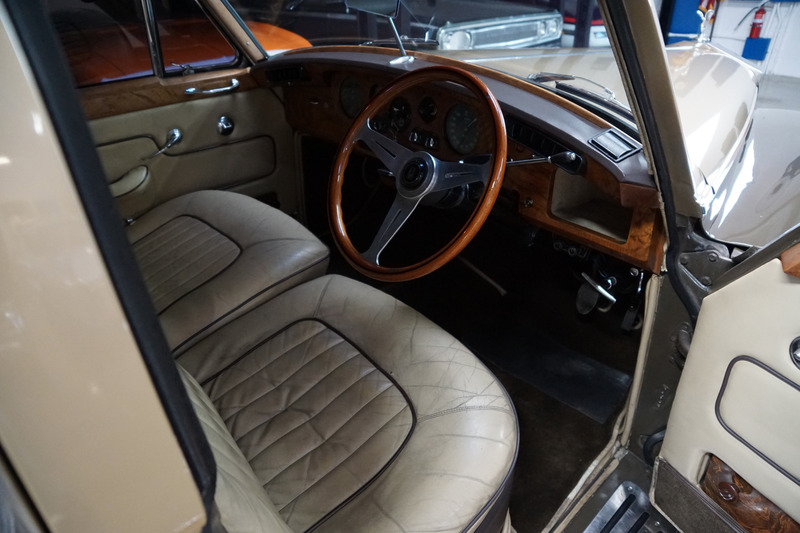 Also this layout had been chosen for the next generation Silver Shadow and this provided a convenient way of bridging the visual gap between the old and the new. 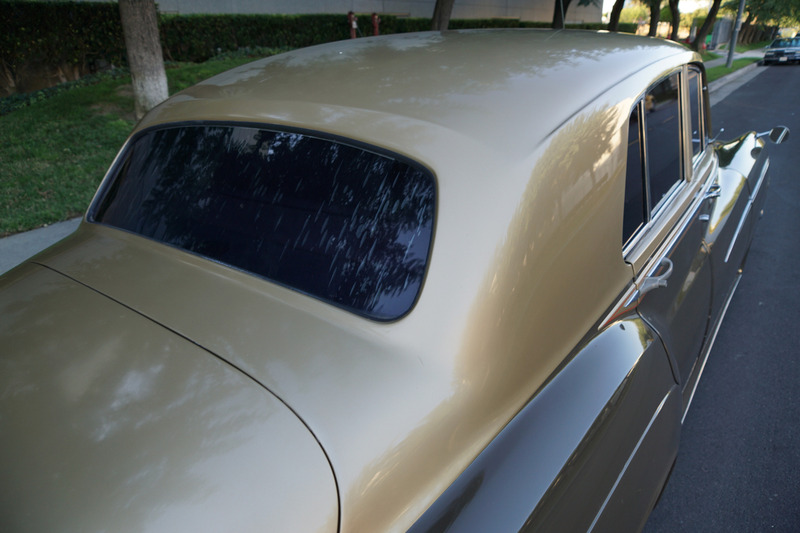 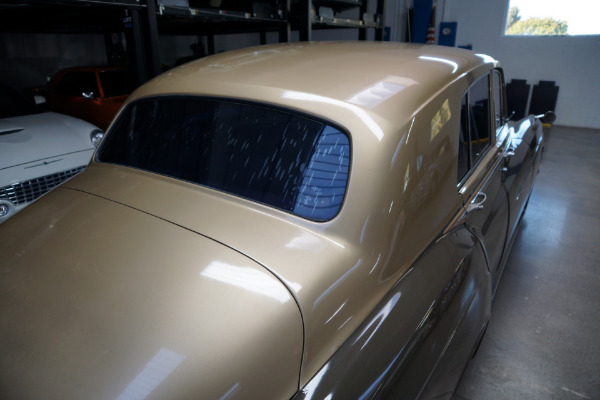 The side lamps and flashers were combined and mounted in the noses of the front mudguards: the earlier cars had separate side lamps on the top of the mudguards and used the fog lamps also as flashers. 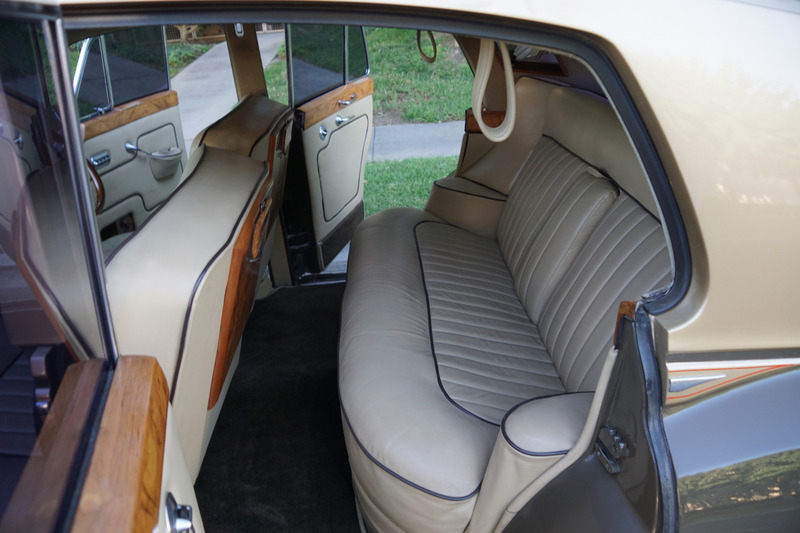 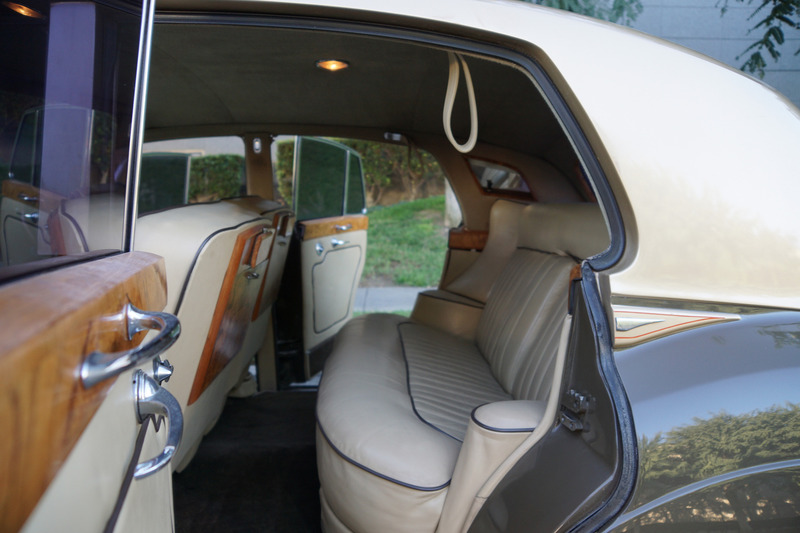 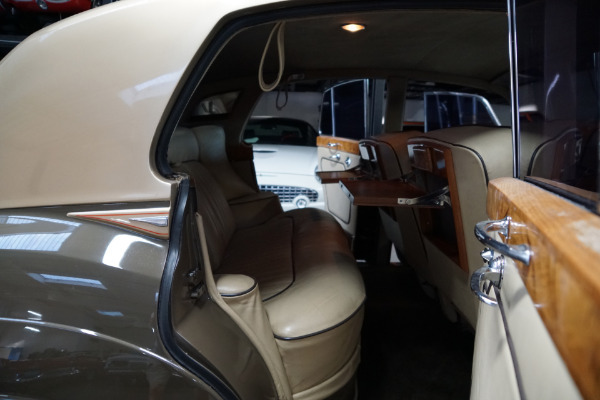 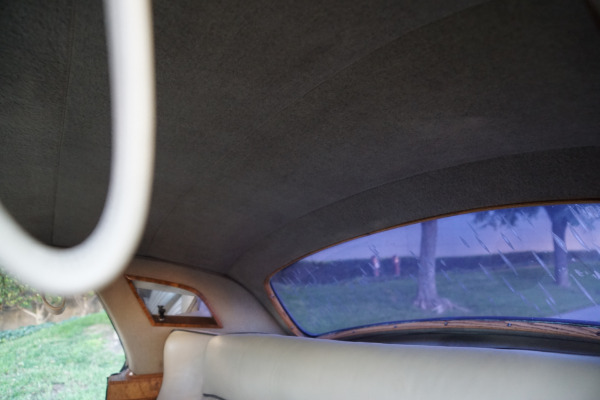 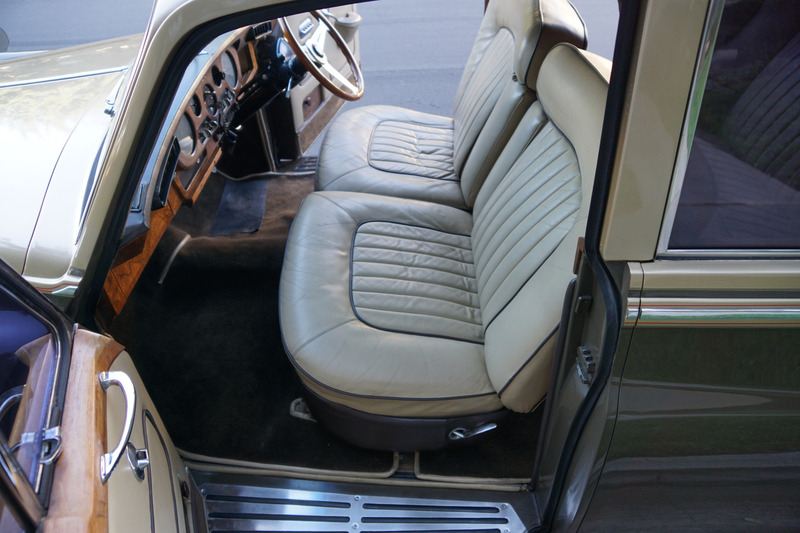 Internally, individual front seats became standard and there was some reshaping of the rear seats. 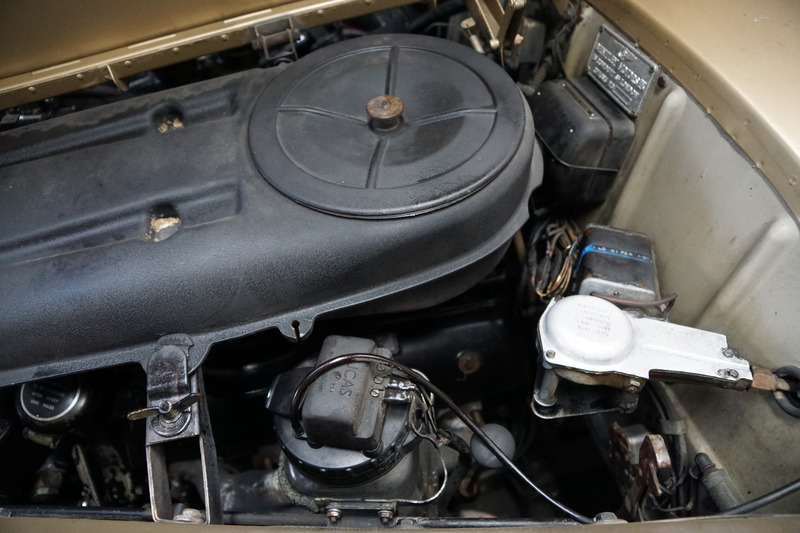 The heating/ ventilation system was upgraded, there were extra radio controls and a number of other such details were improved. The engine had a new compression ratio of 9.0:1; the crankshaft was hardened and there was extra power assistance for the steering. 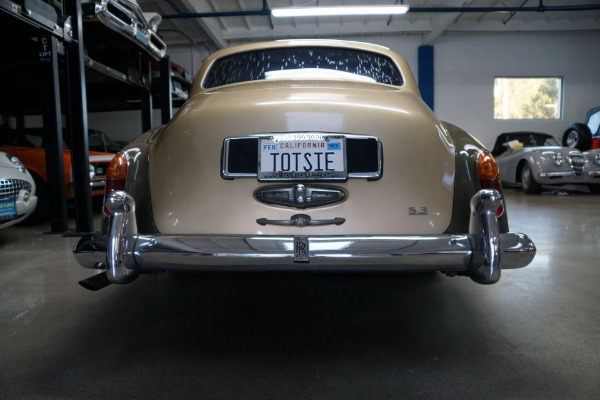 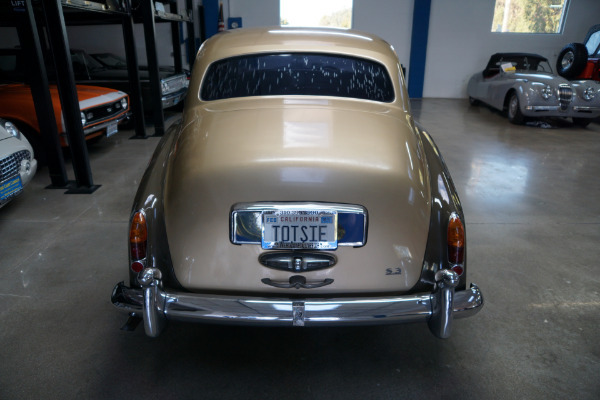 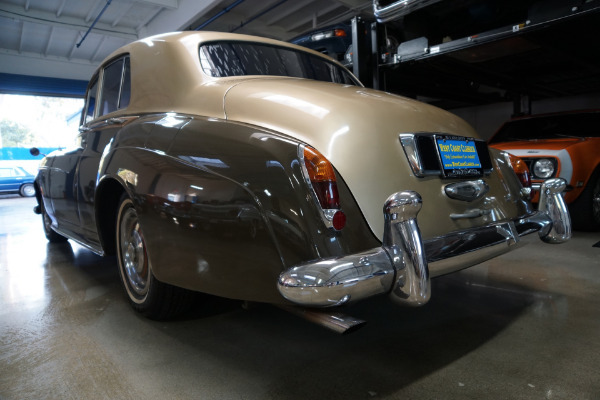 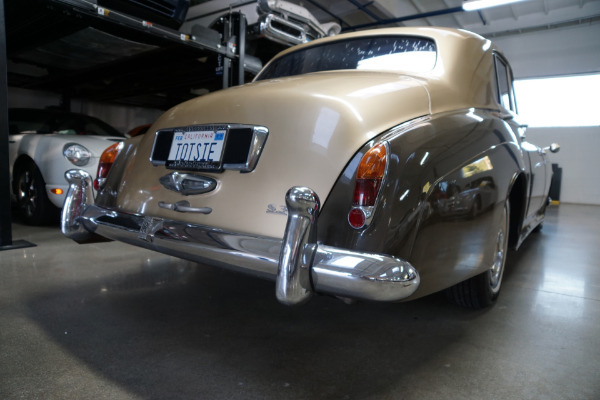 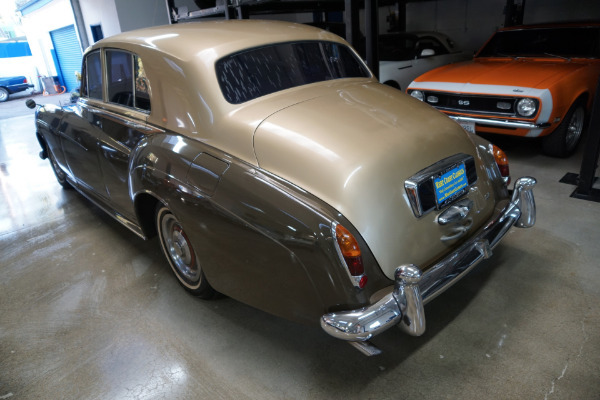 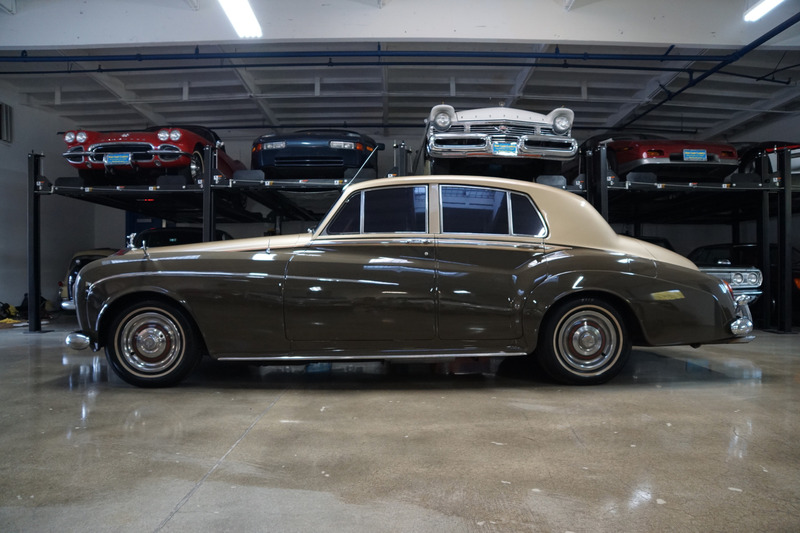 This particular original RHD (Right Hand Drive) model was reportedly imported to the U.S. from England in the late seventies to only it's second owner who lived in southern California and whose family has owned the car ever since. 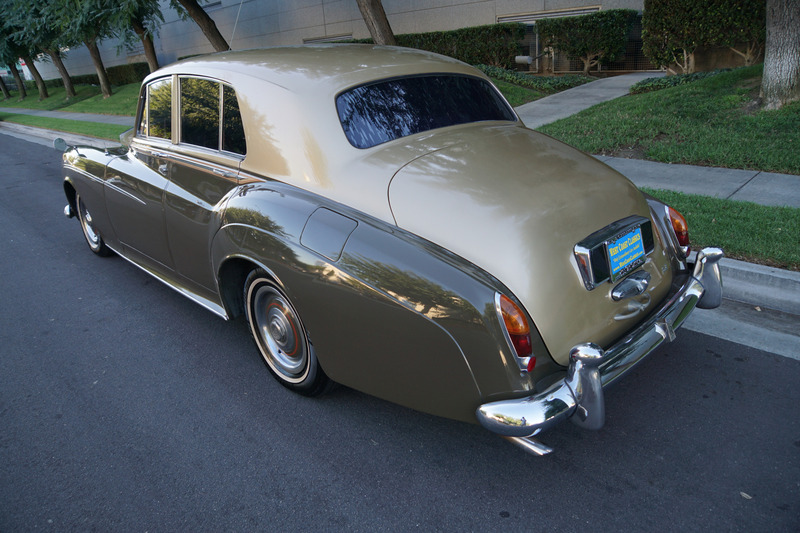 The car shows an odometer reading of 119,348 miles which is believed and reported to be original and the car boasts it's virtually all original Connolly leather and wood interior and most importantly has a full and long history of comprehensive service records from local southern California independent Rolls Royce & Bentley specialists and a recent full service after we purchased it at the renown 'Independent Rolls Royce Service' shop of North Hollywood, CA. 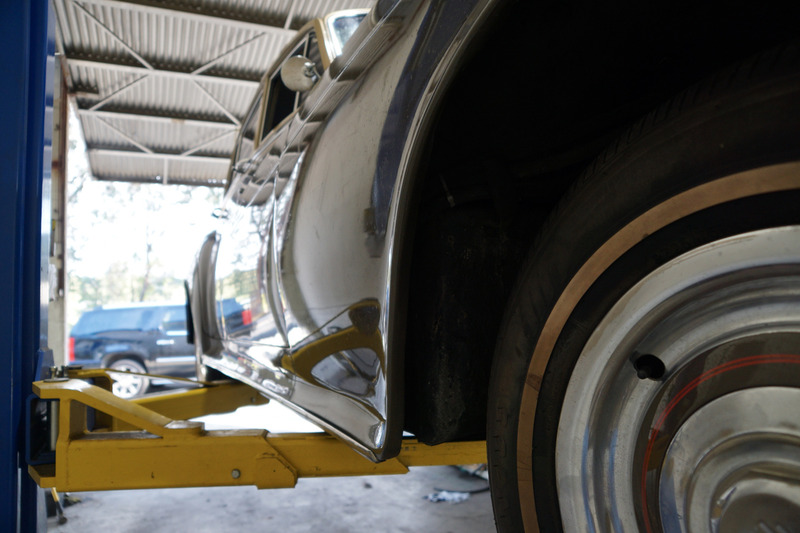 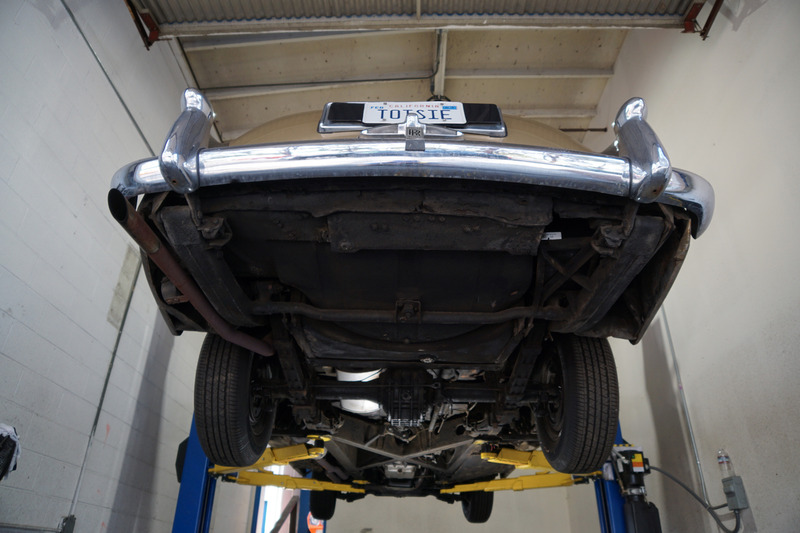 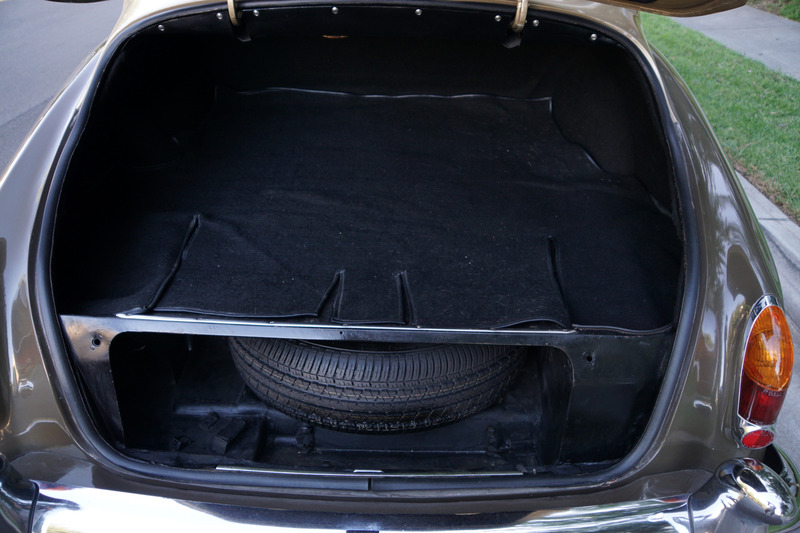 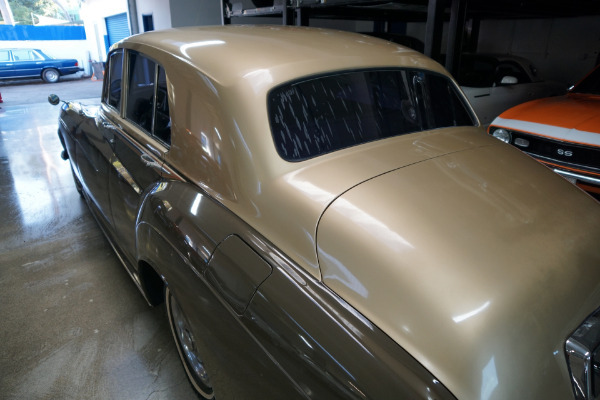 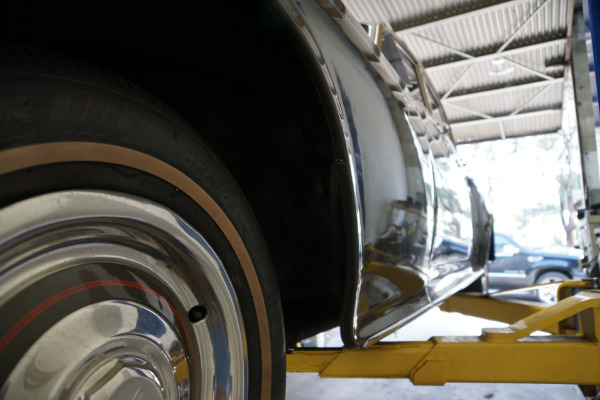 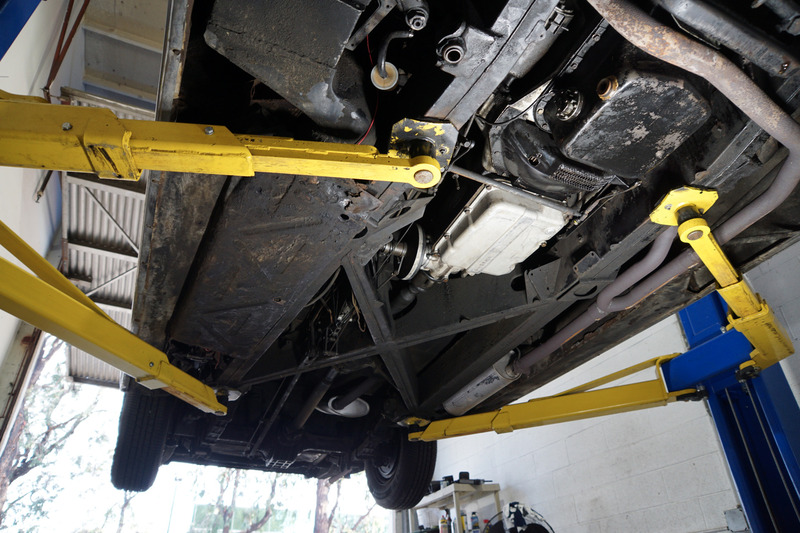 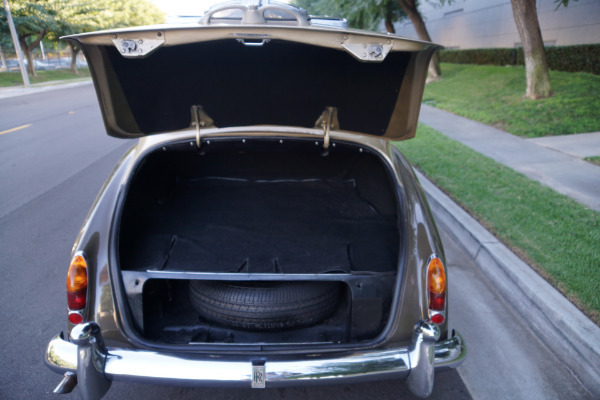 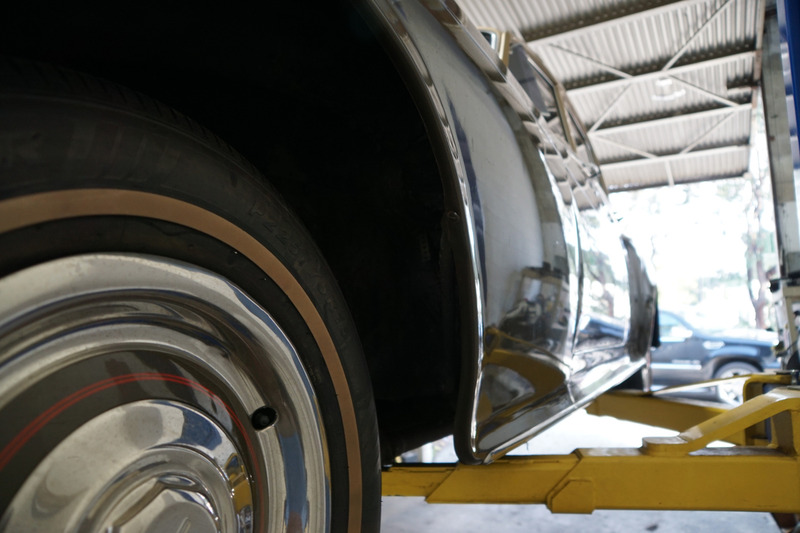 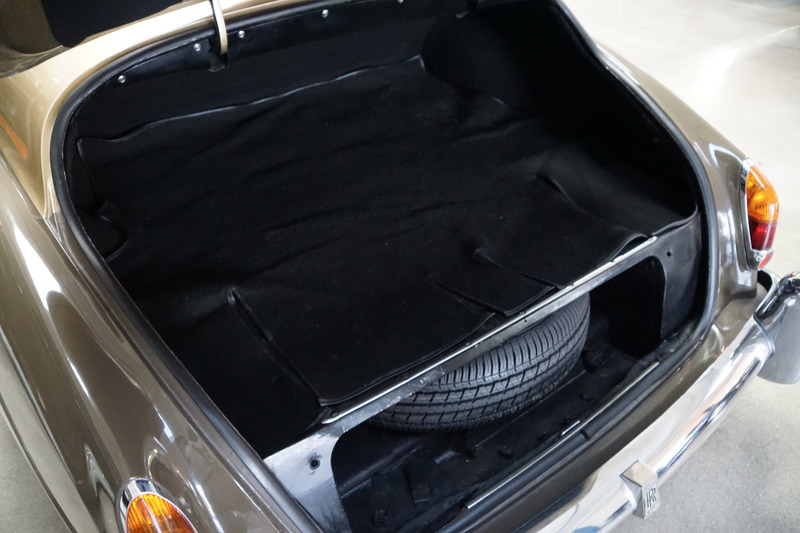 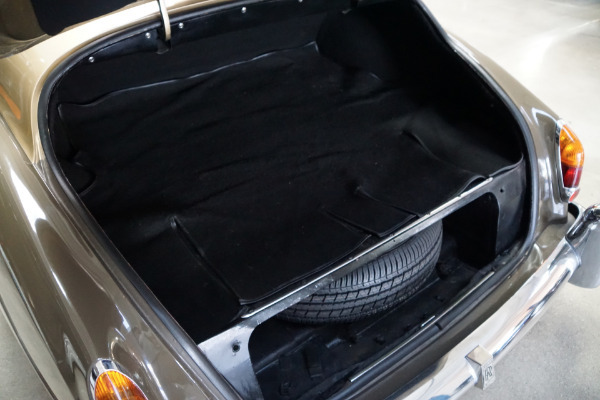 The car is rust free with the floor boards, trunk and all the typical rust-prone areas solid and rust free! 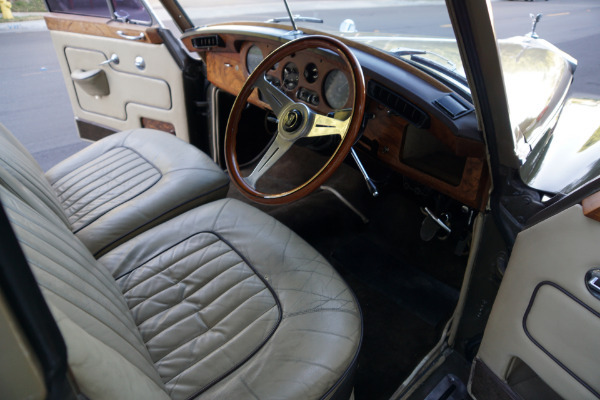 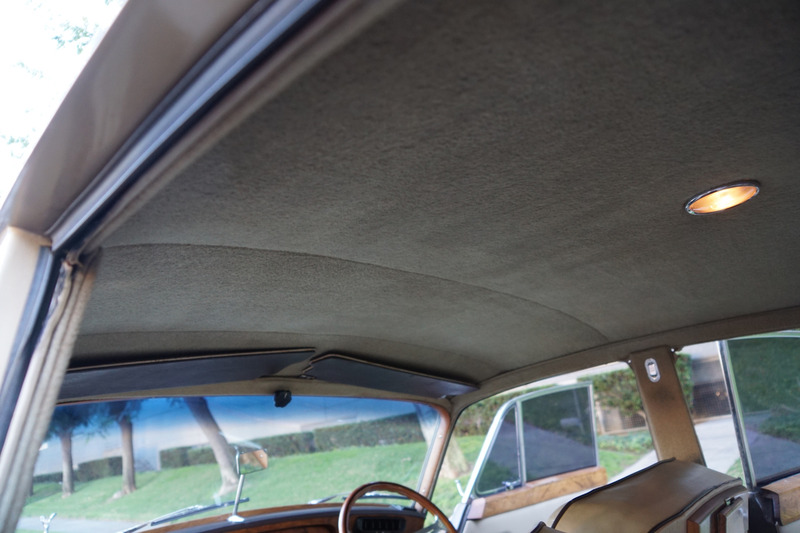 This particular example was imported to the U.S. in the seventies and converted to the Silver Cloud III specifications and is presented in two tone 'Silver Sand over Chestnut Brown' exterior paint with a Tan Connolly leather interior with Dark Brown piping , matching original carpets and boasts its original mohair headliner and obviously was always garaged with no signs of any accidents and is a completely rust free example with the floor boards, trunk and all the typical rust-prone areas completely solid and rust free! The beautiful color combination of the cars 'Silver Sand over Chestnut Brown' two-tone exterior paint with hand painted pin stripes is very striking and the car has it's original Tan with Dark Brown piping 'Connolly' leather interior, which was exclusively used in Rolls Royce and Bentley's and came from unfenced cows which produced unblemished hides and the interior's wood, carpets, door panels, dashboard and mohair headliner are all in very presentable condition throughout. 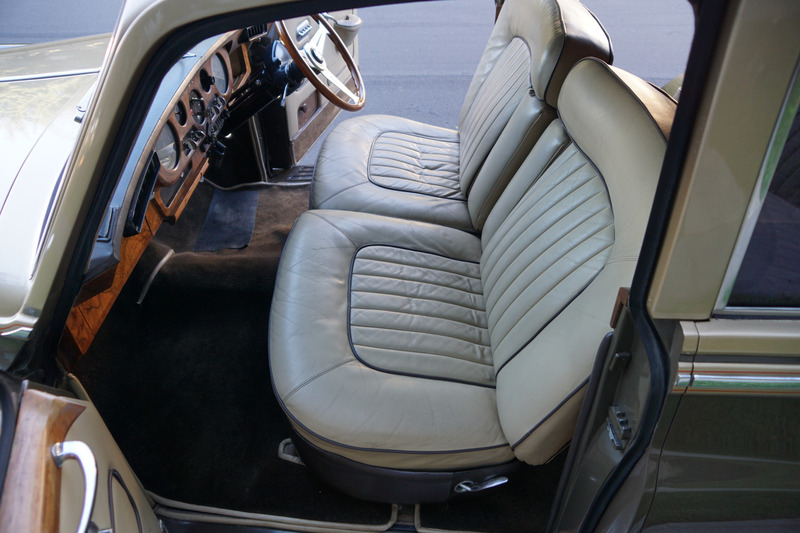 Please note that there are some minor signs of wear in the original leather in some areas. 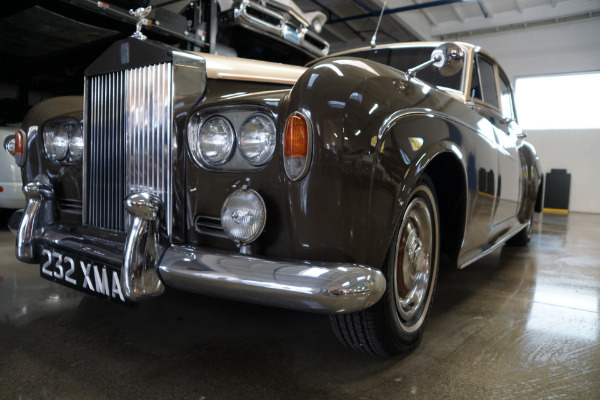 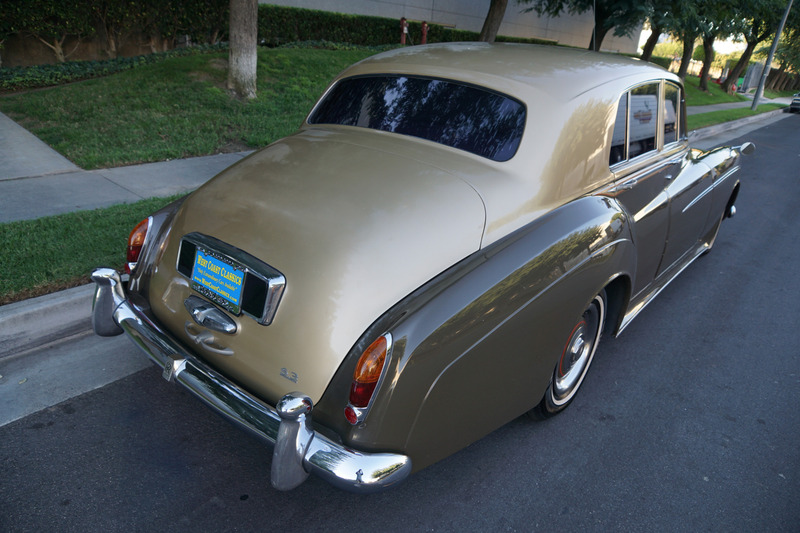 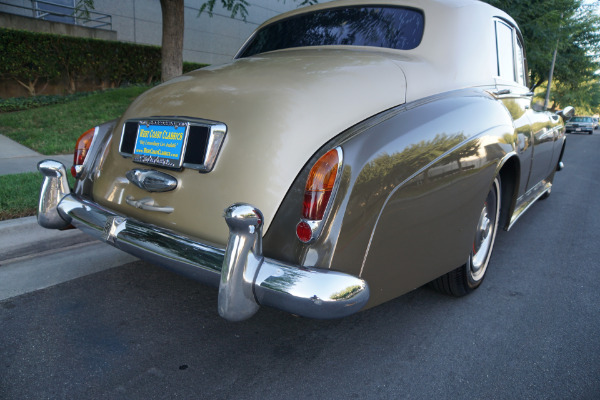 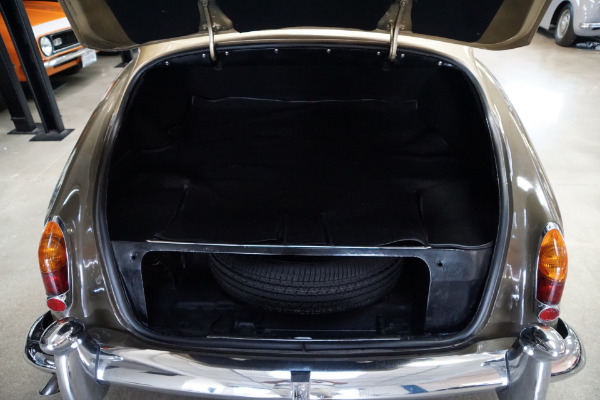 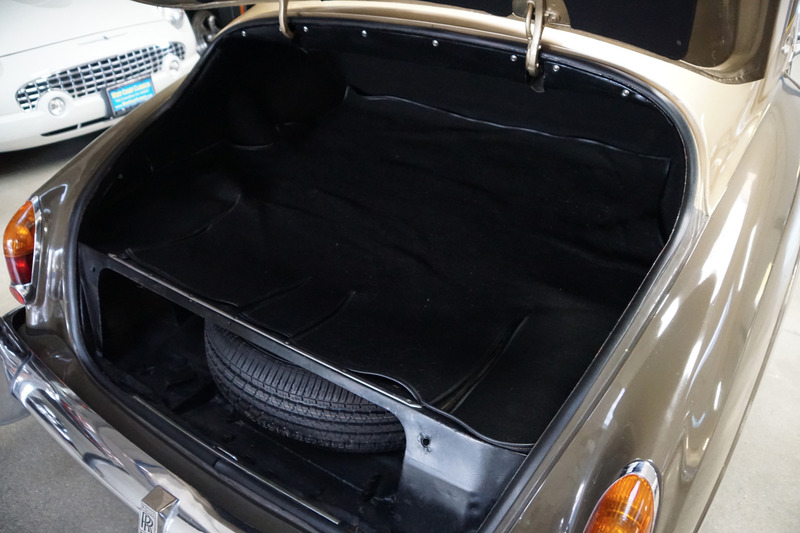 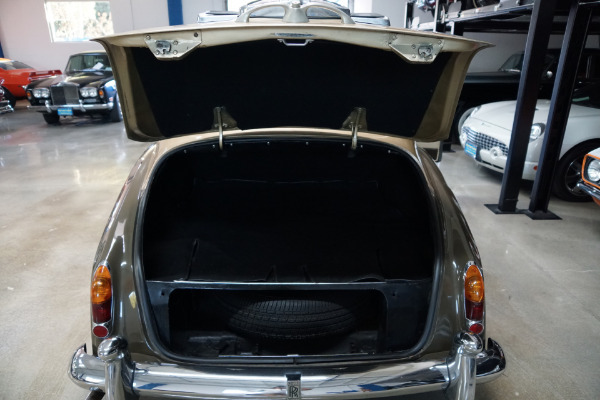 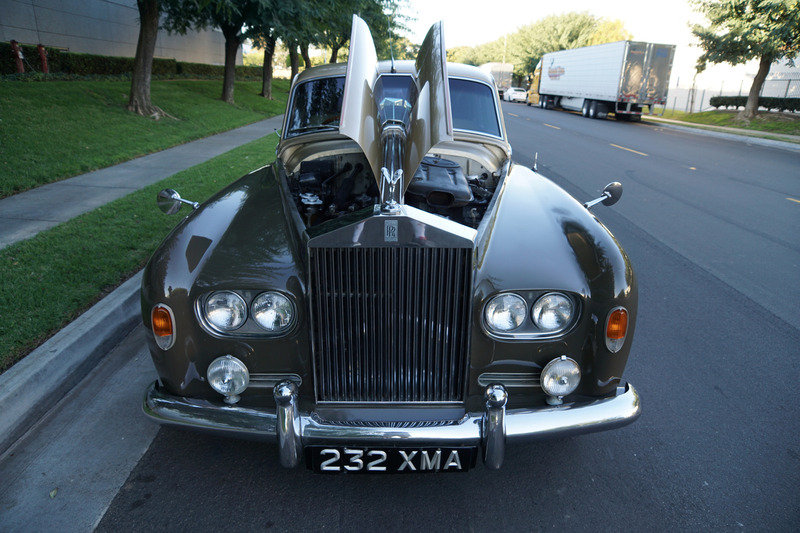 All the chrome work including the front Rolls Royce grille and the front and rear bumpers is very good and the car has it's original spare wheel still located in it's rightful place of storage in the trunk compartment. Please note that the car has a 'Nardi' wooden steering wheel installed and an after market stereo and alarm system. 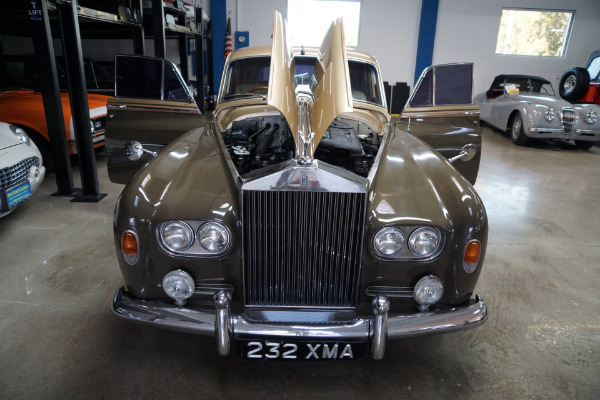 An obviously always garaged example with no indications of any accidents or damage history and owned since the late 70's by one very careful owner/driver - never abused! 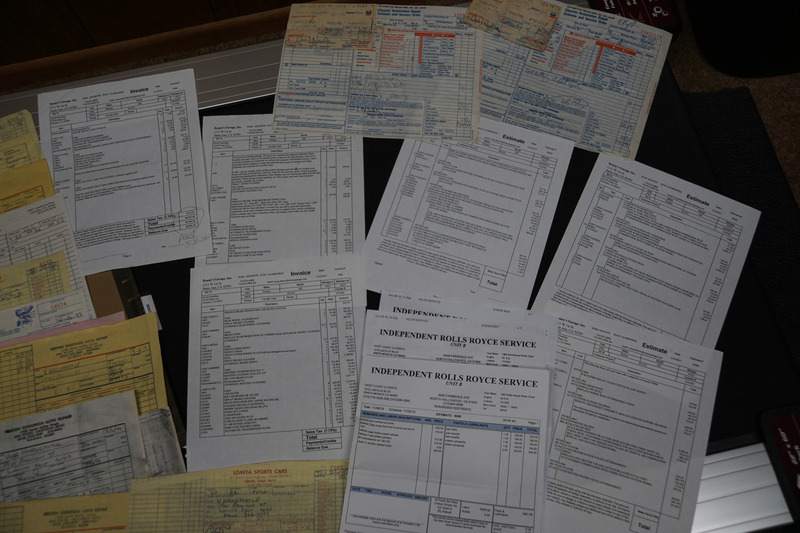 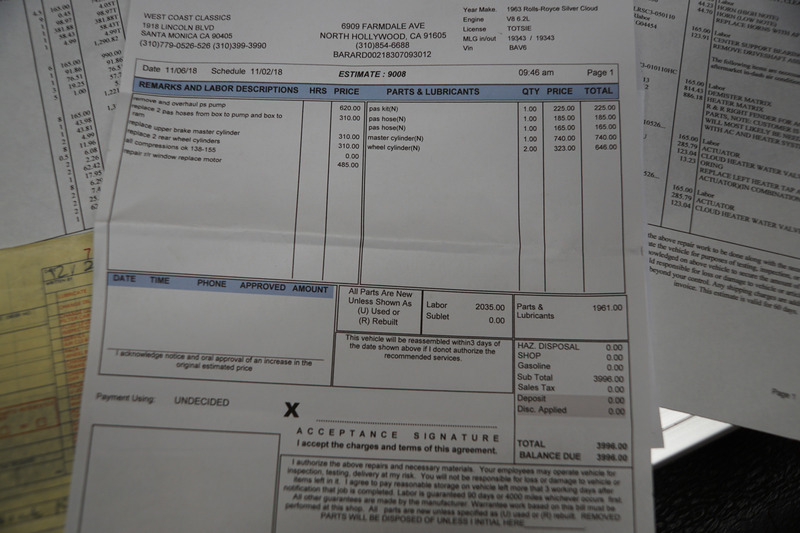 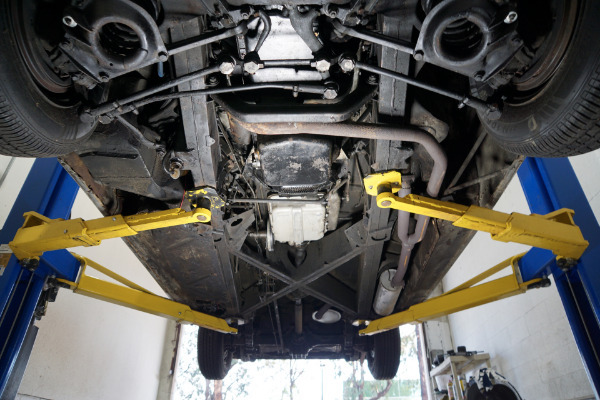 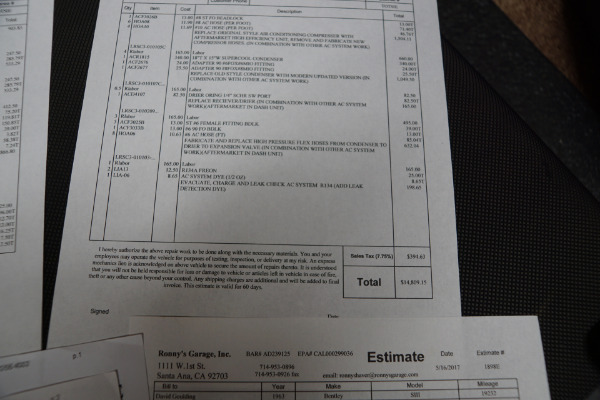 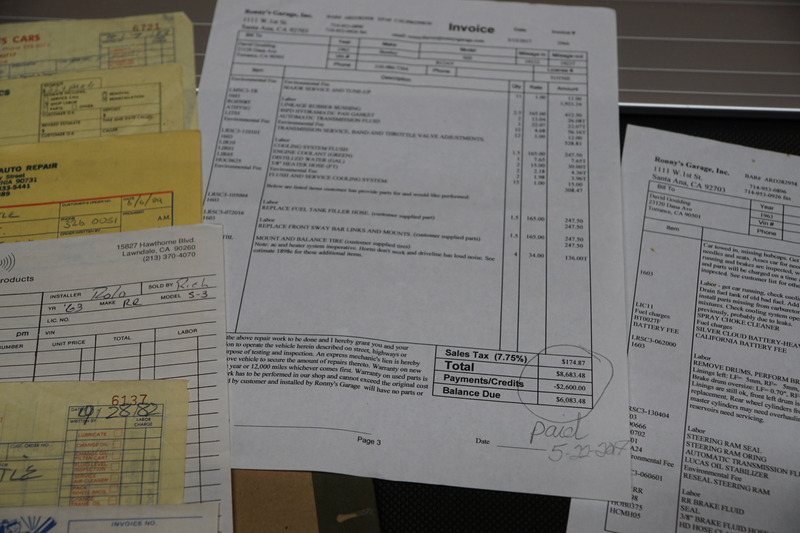 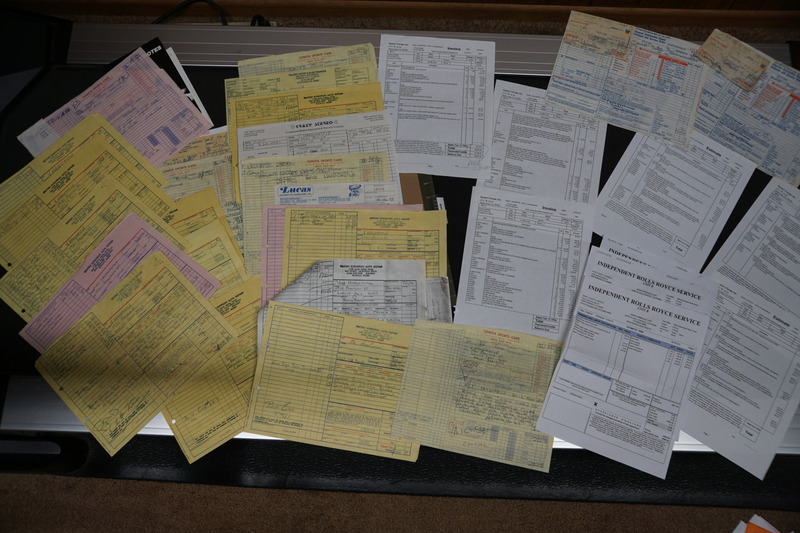 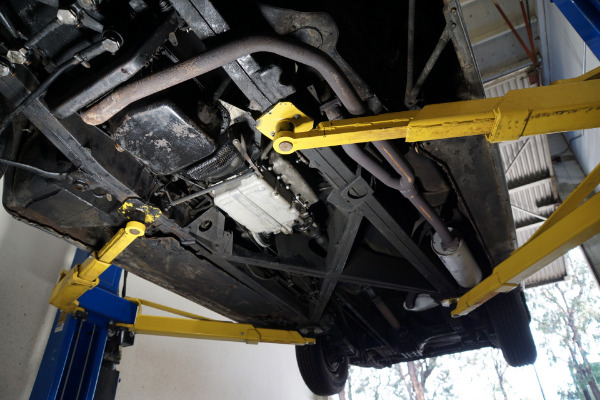 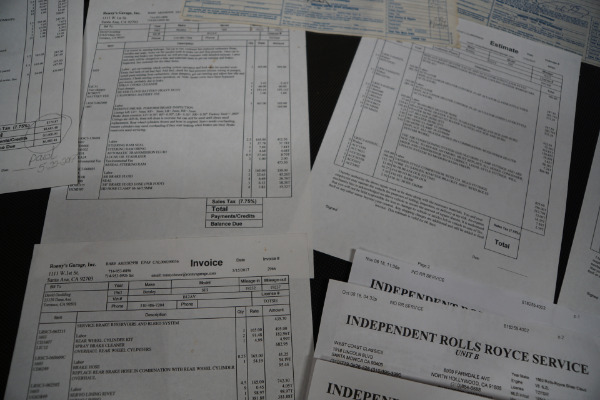 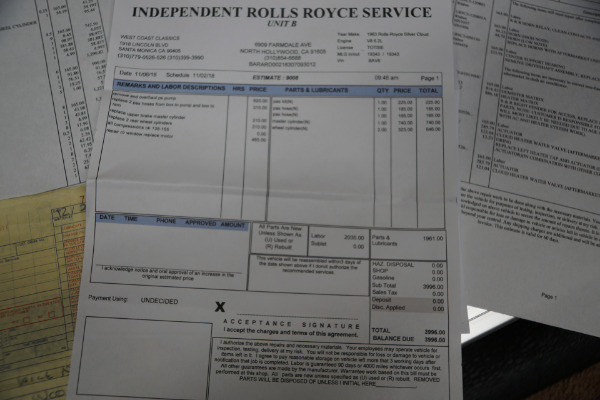 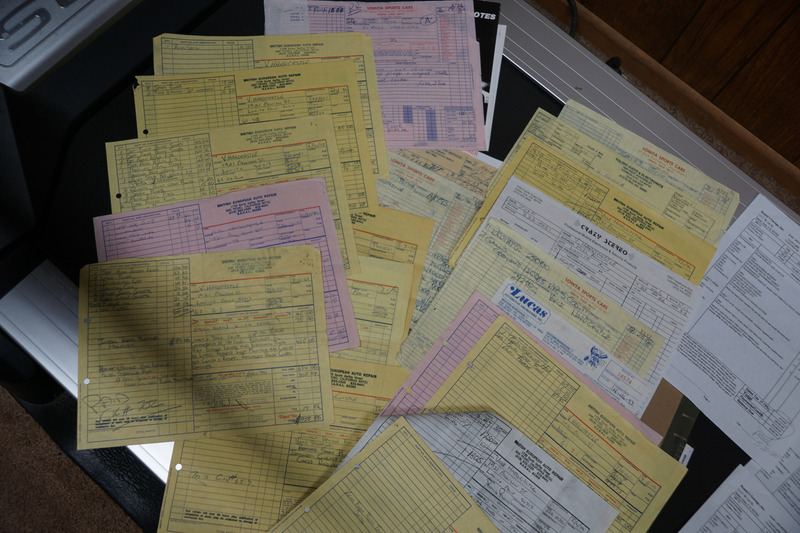 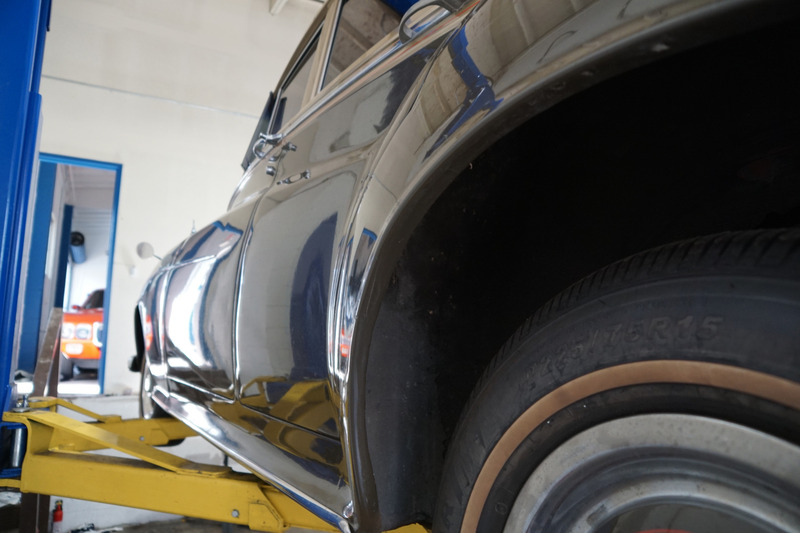 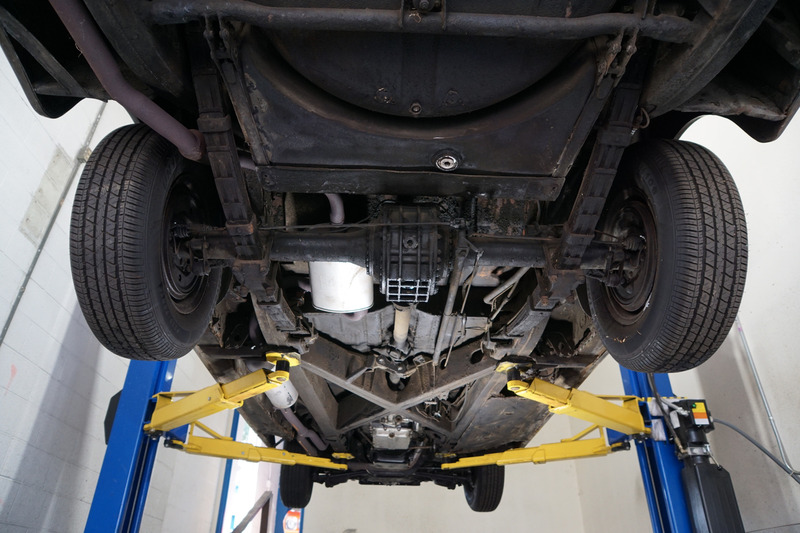 The car has many new components and service records showing many, many thousands of dollars spent in preventive maintenance over the years including very extensive recent service history too and consequently the car drives very well. 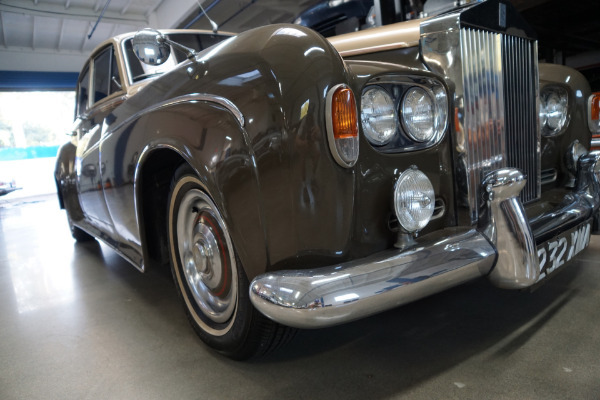 The engine is extremely strong and the transmission is very smooth with Rolls Royce's legendary almost imperceptible shift and the engine temperature always remains cool. 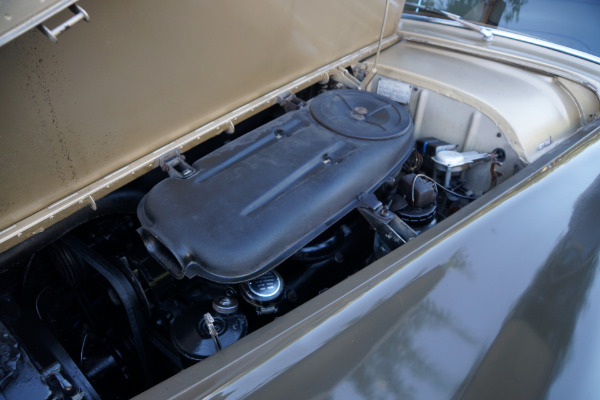 The car has four virtually new tires and boasts an updated R134a freon air conditioning system. 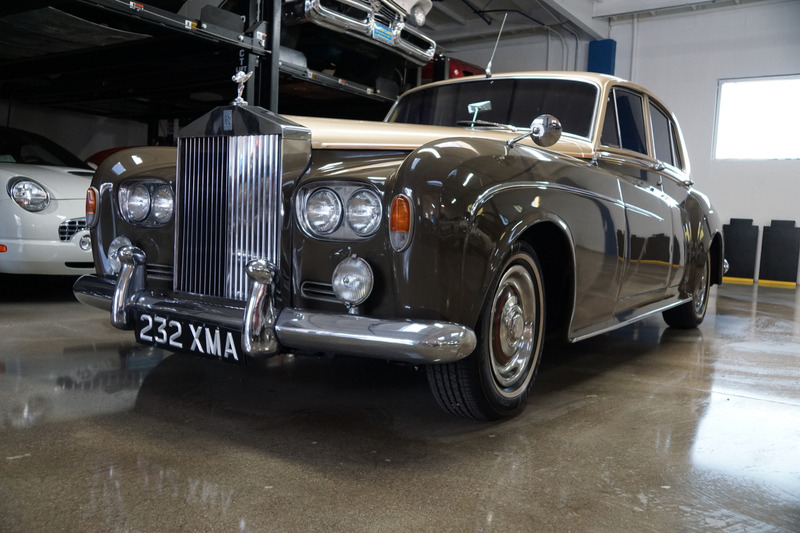 For those who are unfamiliar, Rolls Royce no longer exists as it had for over one hundred years - this is one of the last in the original line of cars built in the legendary Rolls Royce factory in Crewe, England with a quality and craftsmanship that far surpasses that of today's mass produced models with many BMW parts - along with it's tall grill and tall flying lady the Silver Cloud III is a moving work of art and from a time when Rolls-Royce and Bentley were arguably building the "Best Cars in the World" at the time of it's production, the craftsmanship and quality of these cars obviously speak for themselves. 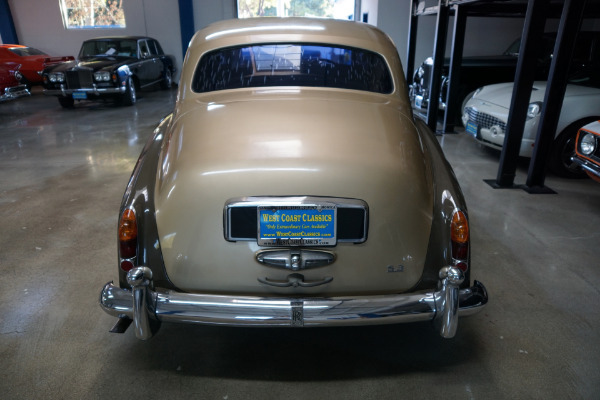 It is becoming increasingly hard to find such unabused and rust free examples as these models become thinner and thinner on the ground with only some 2,044 Silver Cloud III's built.